Veeam® Backup & Replication ™ - a comprehensive solution designed specifically for backup of virtual machines (VMs) and data availability. 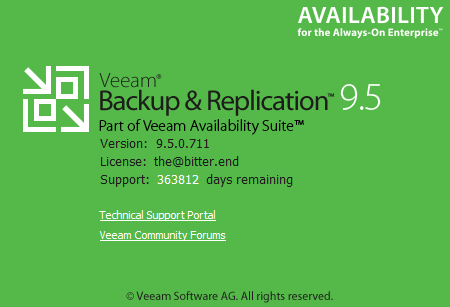 Veeam Backup & Replication ™ ensures fast, effective and reliable recovery of virtualized applications and data. The solution combines the capabilities of backup and replication for VMware vSphere and Microsoft Hyper-V.